America’s Favorite Cookie! The fastest disappearing cookie I bake. 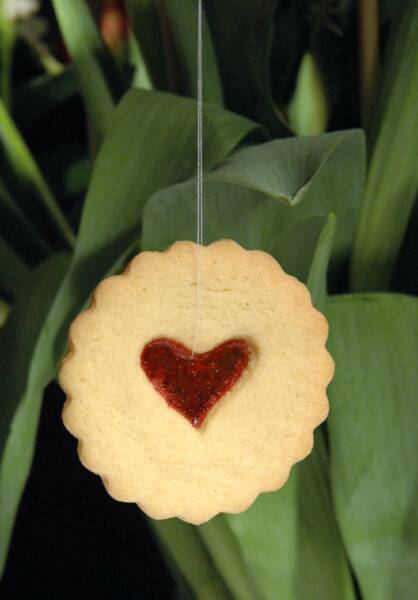 Who could resist the lure of this classic cookie! Baked with or without walnuts or pecans, please specify upon ordering. 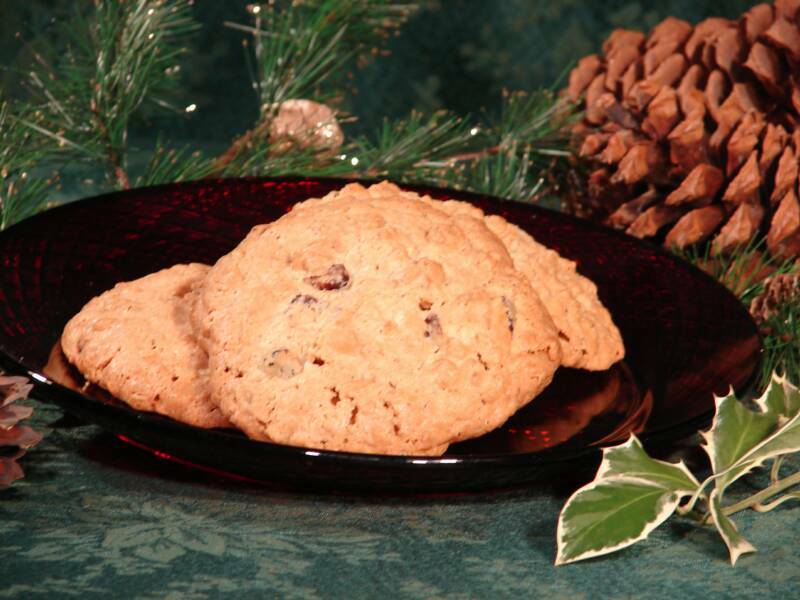 Same great taste of my Classic Chocolate Chip Cookies baked with rich macadamia nuts! 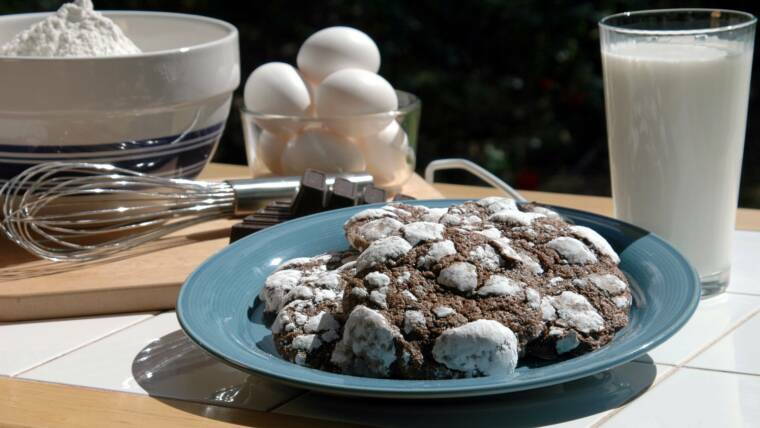 Cousin to the Chocolate Chip Macadamia Cookies, wonderfully delicious, and brazil-nuts are good for you too! A favorite of kids & adults! Made with my great tasting Classic Chocolate Chip Cookie Batter with your choice of Plain, Peanut, Almond or Peanut Butter M&M's. Simply Delicious! These crispy-chewy treats with plump raisins and toasted nuts will keep drawing you back to the cookie jar, they’re that good! Cousin to the Rich Chocolate Fudge Brownie, a chocolate dream come true! Simply the best! 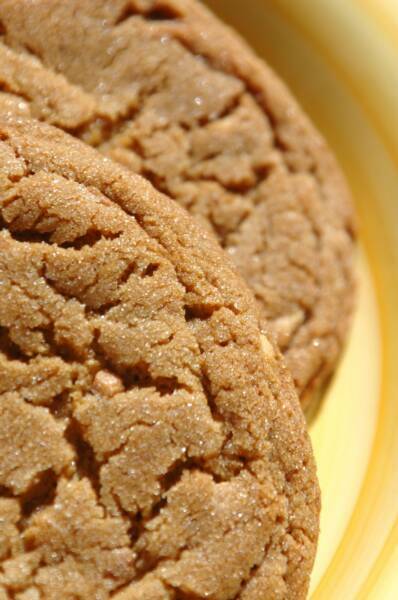 These Peanut Butter Cookies are Fabulous! Watch out, they fly off the plate! Imagine, non-peanut butter fans enjoy them too! Baked with real peanut butter crunch that you can see! This light buttery cookie will disappear before your eyes! They melt in your mouth with such homemade goodness; I can’t keep them on the plate. They are snatched up as quickly as you lay them out! I know of some who keep a stash hidden away, they disappear that quickly! 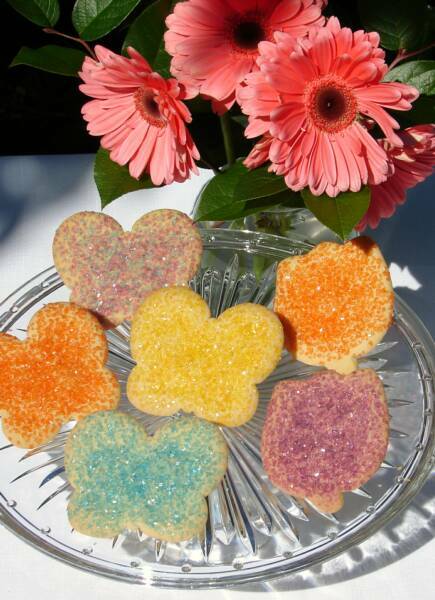 These cookies come in the different shapes of the season decorated with colorful sprinkles or as a classic circle cookie sprinkled with sugar. Same Great Taste as my Oatmeal Raisin Nut Cookies only these yummy cookies are made with rich dark chocolate chips! Made with the same great cookie batter I use for my famous Oatmeal Raisin Nut Cookies, these scrumptious cookies are baked with sweet dried cranberries. Sweet, crunchy, chewy and light! A family delight! These sweet little treasures with disappear before your very eyes! 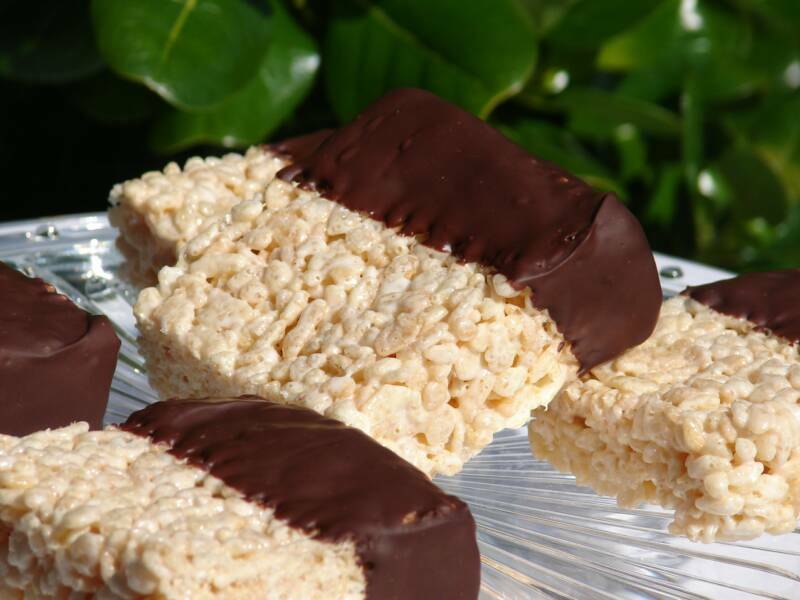 Classic, Extra Crunchy or Hand Dipped in Dark Chocolate. Moist and chewy. 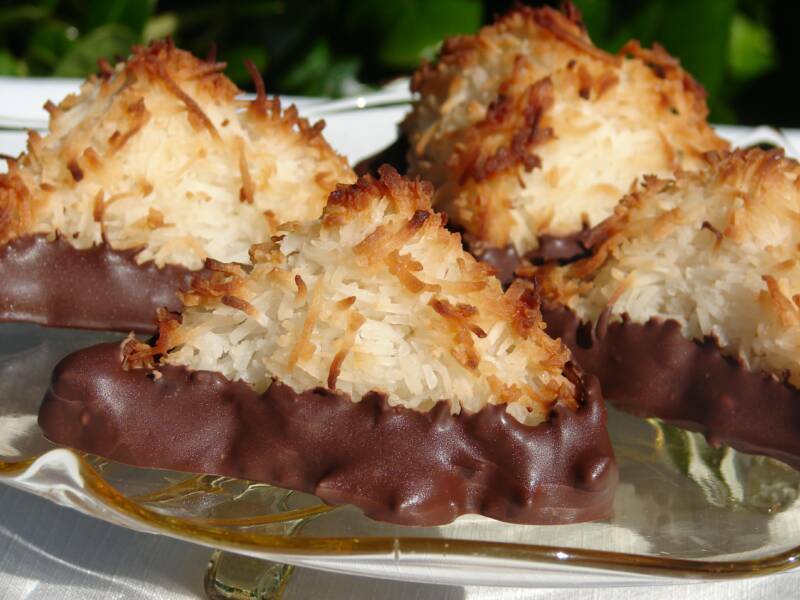 Toasted golden coconut on the outside and creamy soft coconut on the inside. Cream of Coconut gives these Beautiful cookies extra moist and give them that extra boost of coconut flavor! 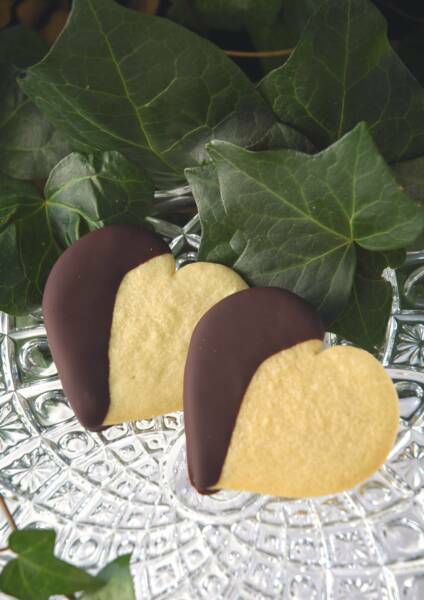 Classic or Hand-Dipped in Dark Chocolate. A crunchy-soft bar cookie made with peanut butter, small pieces of peanuts and graham crackers. And lets not forget the sweet dark chocolate topping. Yummy! 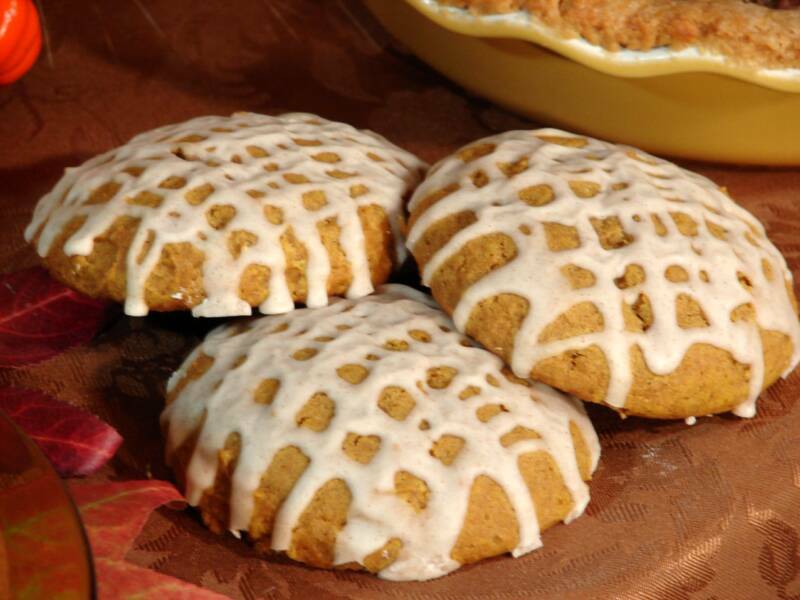 These soft and chewy pumpkin spice cookies are perfect with a tall glass of milk. 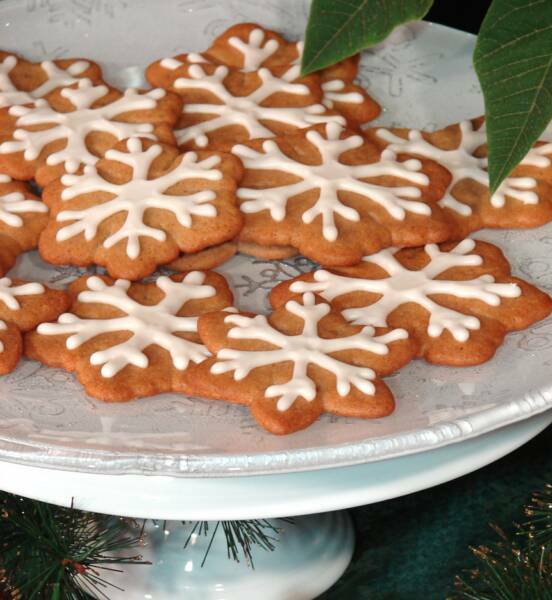 A sweet variation of the traditional gingerbread cookies. 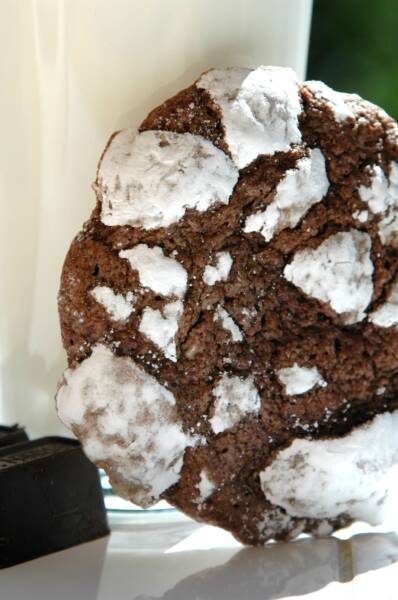 These cookies are soft and super moist with a sweet crackly sugar crust. 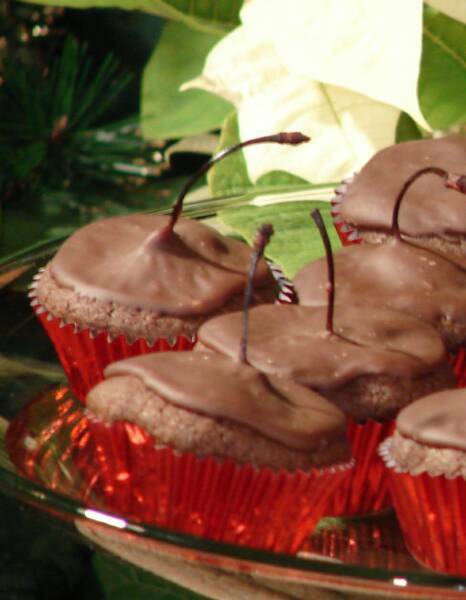 Maraschino cherries wrapped in a rich brownie-like cookie, flavored with cherry liquor, and topped with rich chocolate fudge also flavored with cherry liquor. 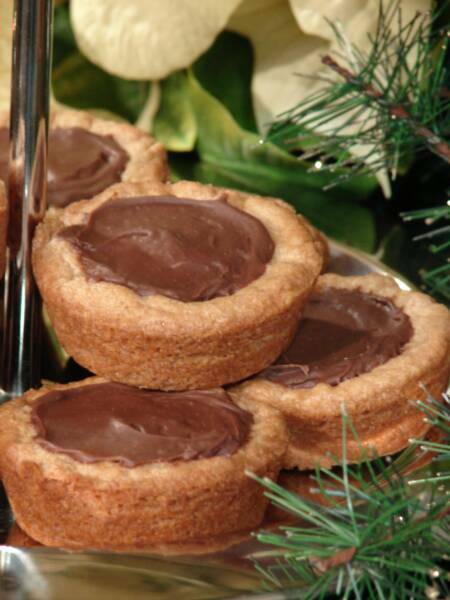 My yummy peanut butter cookies baked in a fun new shape, topped with rich chocolate fudge. A new holiday favorite! 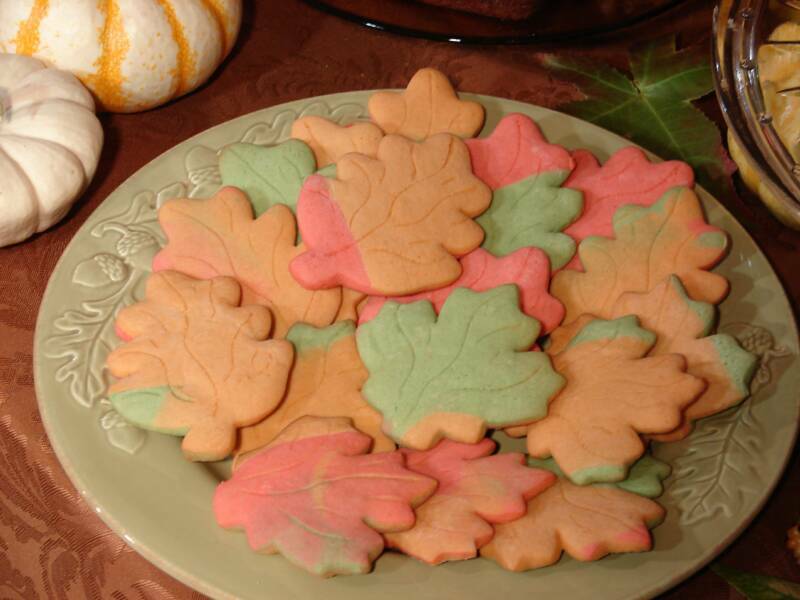 Swirls of autumn colors in a leaf-shaped butter cookie, with the wonderful flavor of pure maple syrup! Another artful and tantalizing treat for the eyes and the palette! 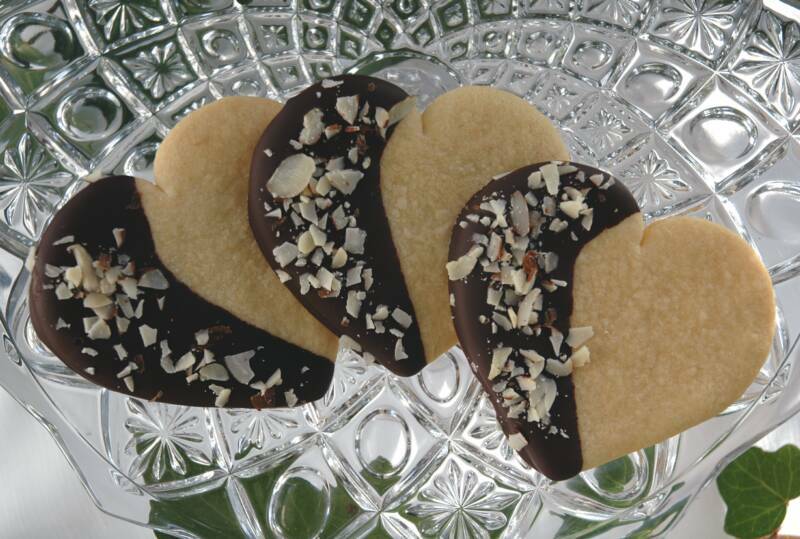 These beautiful cookies are so good they'll disappear before you know it!! doesn’t stop here! Then the top of the cookie is hand dipped in wonderful melted chocolate, AND chopped nuts, last, its little stem is attached! 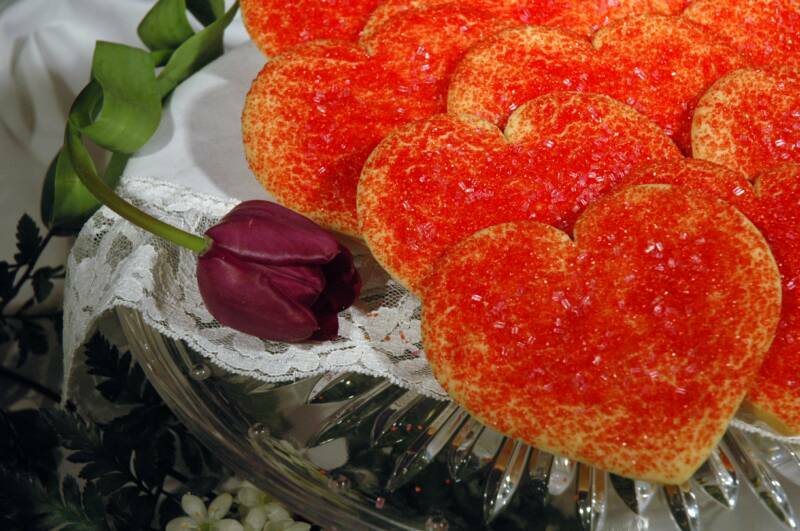 This little jewel is as wonderful to show-case as a center piece, as they are to eat! You will hear the oohs and aahs with this one! 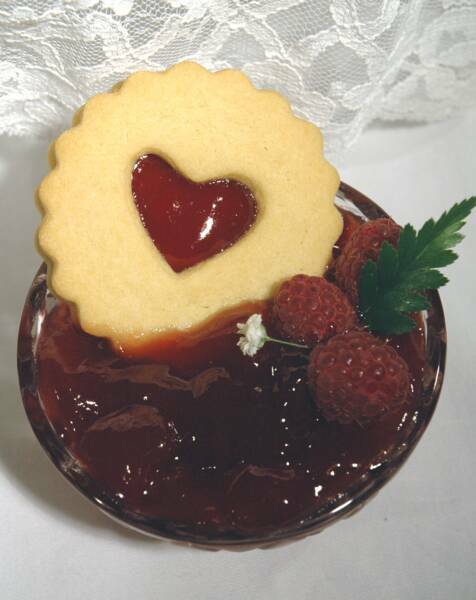 Melted, sweet cherry candies make this wonderful heart-shaped window in this delicious butter cookie. 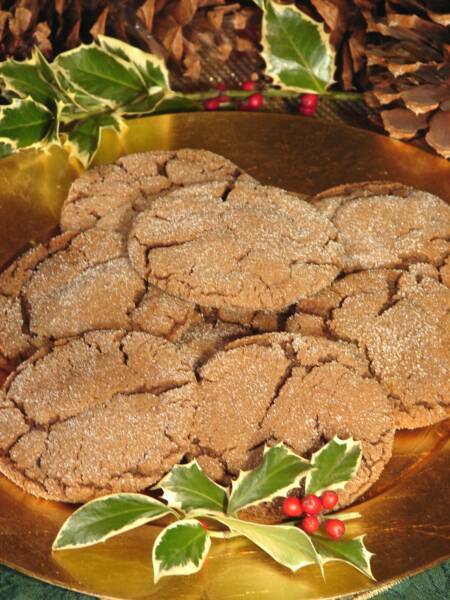 This light and buttery cookie reveals a heart-center filled with melted cinnamon candies. They are snatched up as quickly as you lay them out! I know of some who keep a stash hidden away, they disappear that quickly! 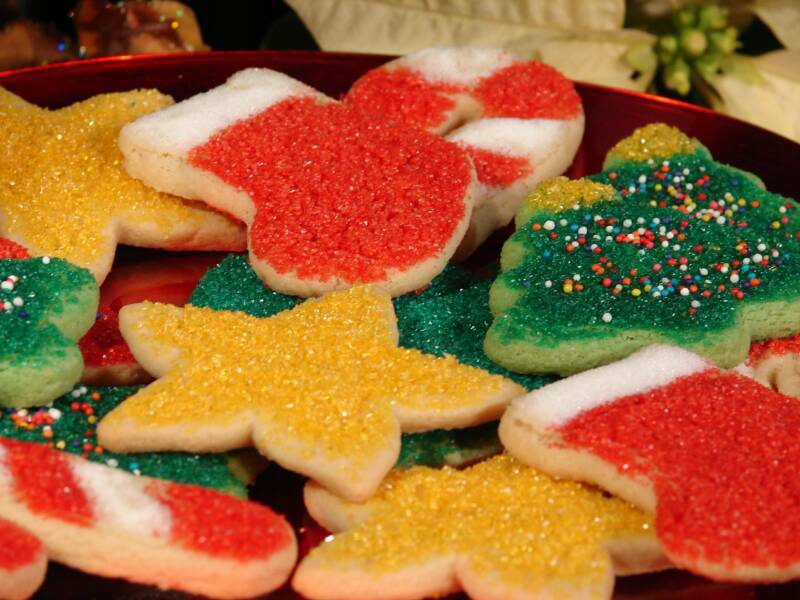 These cookies come in five shapes: Christmas trees, stars, Santa’s Boot, candy canes, and a bell, all beautifully decorated with colorful sprinkles. 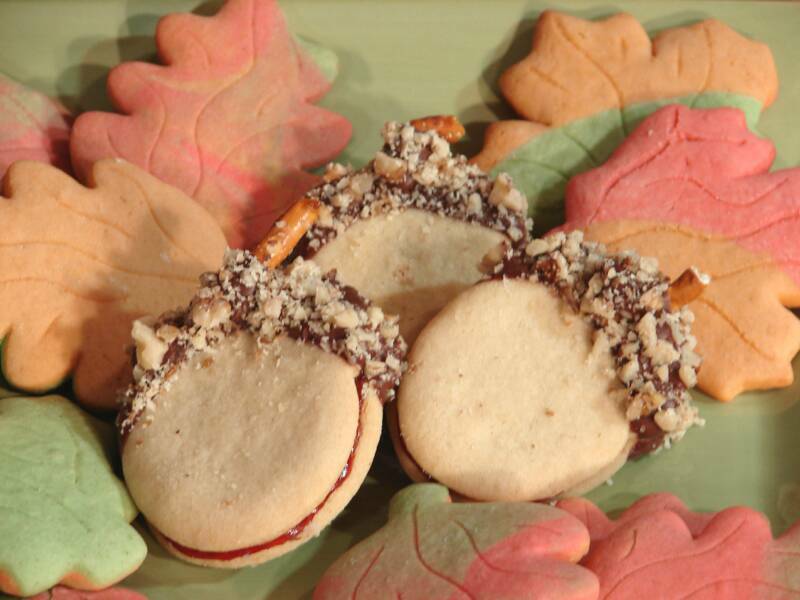 These light & buttery cookies will disappear before your eyes! 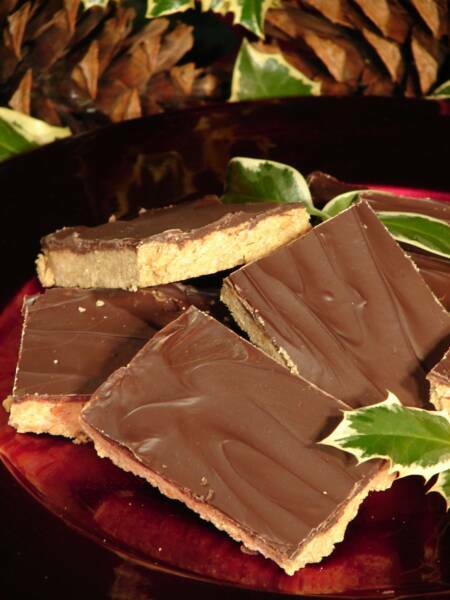 They melt in your mouth with such home-made goodness; You wont be able to keep them on the plate. 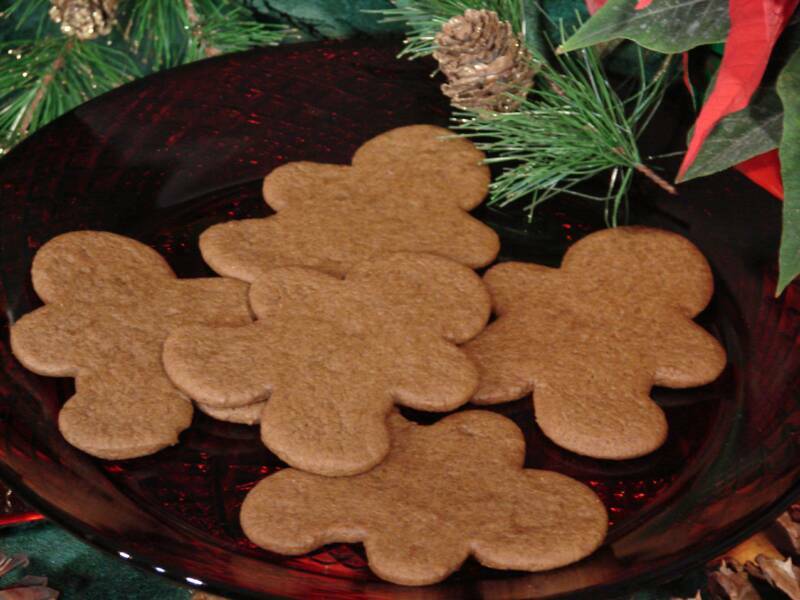 These delicious ginger cookies are similar in taste and texture to my gingerbread cookies, but without the powerful flavor of molasses; think of these as the lighter side of gingerbread cookies. Beautifully decorated with sweet vanilla frosting. Unlike the traditional hard and dry gingerbread cookies, which are good for hanging on trees, but not so nice for eating! 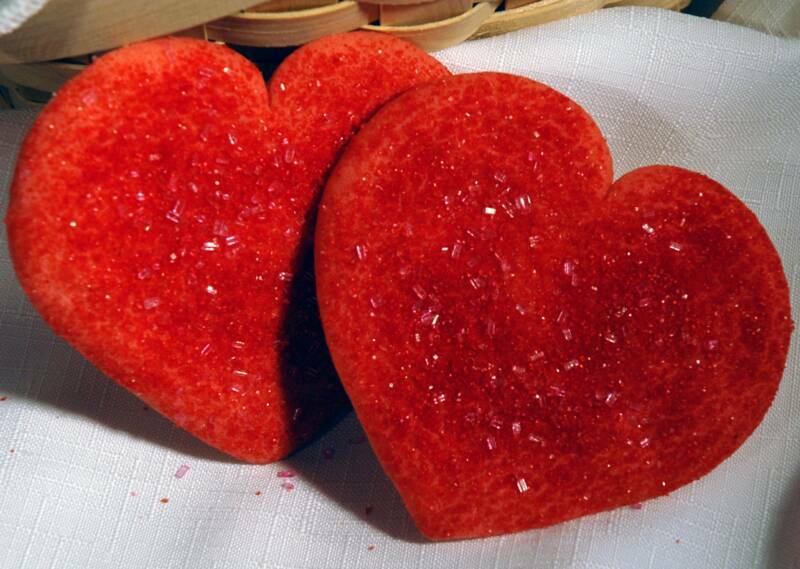 These wonderful treats are moist and gently chewy. 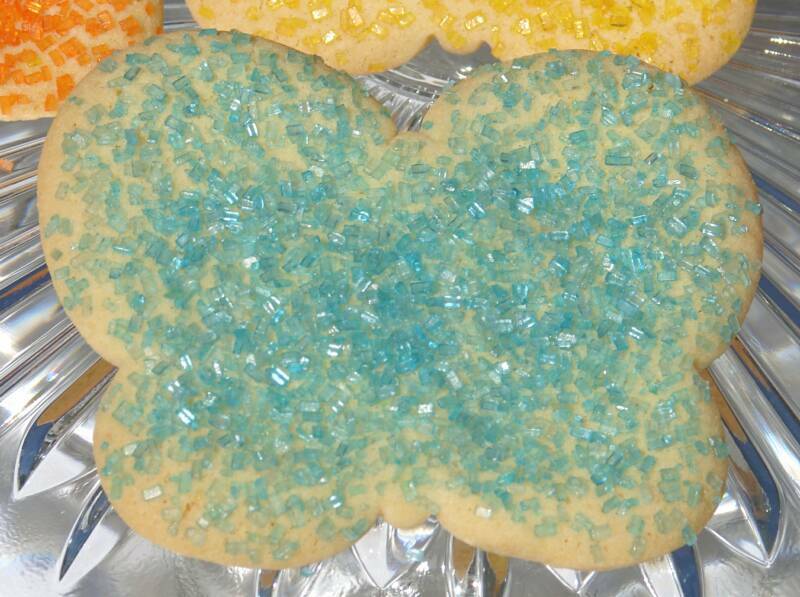 Made with the same great tasting batter of my Butter Sugar Cookies only in the shape of Butterflies and Tulips and beautifully decorated with pastel sprinkles. 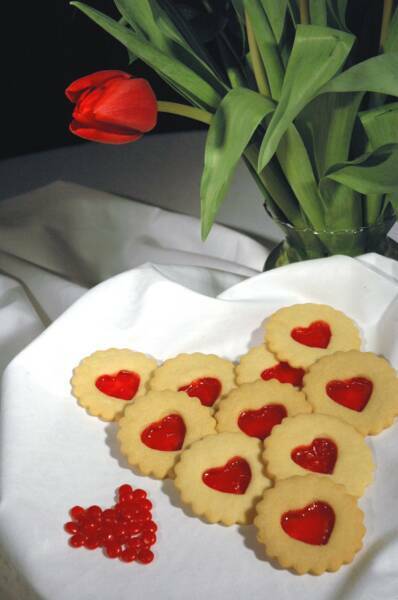 Made with the same great tasting batter of my Butter Sugar Cookies only in the shape of Hearts.